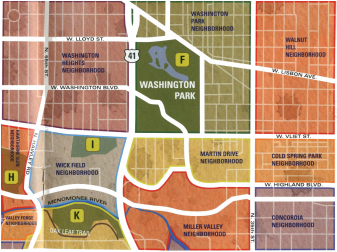 The Washington Park and Martin Drive neighborhood is set for dramatic changes and an infusion of investments in the near future. As artist Muneer Bahauddeen puts it, Washington Park is going through its renaissance. But as we plan the future of these neighborhoods we need to think carefully about the nature of change we plan to implement, our goals for revitalization, and consider those who will (or will not) benefit from our actions. These neighborhoods are not blank slates, or a tabula rasa, where urban planners and other professionals render their development dreams. Instead, the BLC field school asks how past histories, current lifestyles, everyday practices and resident aspirations may be factored into future plans. In the past, the Martin Drive neighborhood was considered a very safe place, but today residents feel that safety is a concern. In order to make sure that their neighborhood remains safe some residents coordinate with the local businesses, government and the police. Others make their own contribution to the neighborhood’s safety by setting up block watch groups and joining neighborhood associations. Take for instance, Phyllis Reitter who has lived here most of her life. She cares for residents’ safety, gathers her neighbors together and offers to coordinate regular block watch meetings. People who attended these meetings told us that as a group they looked out for each other, they found out who is living next door and noted what happens nearby. Martina Patterson of Washington Park succinctly explained that her neighbors, who look out for others, through their acts of caring make her neighborhood a safer place. When the residents talk about the economy, they refer to the local cafes that they like, the grocery store they go to, the new businesses that have opened, and the now-vacant theaters that they once frequented. According to Reitter, the area surrounding 37th Street and Vliet Street used to be a very safe and active community. There used to be a bowling alley, a grocery store, and two theaters within a few block, but they are all gone now. Many of these buildings are currently vacant. The Martin drive neighborhood is really eager to attract progressive local businesses. Residents worry about the growing number of tobacco and liquor stores, hoping instead for a healthy mix of diverse businesses. When new stores open in their neighborhood, the neighbors anxiously wonder how many customers patronize these stores and where these patrons come from. They want a community with a mix of businesses that may be conveniently accessed by all. Another change that residents desire as they mull over revitalization plans is a need to improve relationships within the community. The internal relationships of Martin Drive are complex because it is home to a diverse population. People from different cultures may not have close connections due to cultural misunderstandings and language barriers. For example, the Hmong are relatively new in this area, but their population is significant. They have different traditions and the older generations have language barriers which cause other neighbors to have little interaction with them. Although communication across social and ethnic groups has improved considerably in recent years due to the first generation of Hmong Americans being multilingual and proficient in cross-cultural engagement, more needs to be done. Pat Mueller, a member of the Martin Drive Neighborhood Association explained how access to internal as well as external resources is central to successful revitalization of this neighborhood. She has lived in this neighborhood since 1986 and has focussed on growth and development. She said that there are many misconceptions about this area and once, even she thought that the area was not a good place to live. 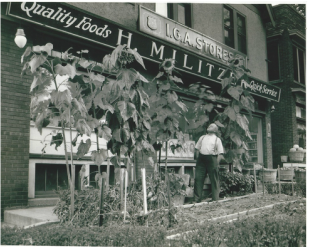 But when she visited the neighborhood and discovered the beautiful buildings and environment she was convinced that these were inherent resources that would help revitalize this neighborhood. She is bringing positive thinking to this neighborhood by working on improving the usage of space. Pat believes that positive thinking can change the false perceptions of neighborhood and bring more people and investment back to the neighborhood. "At 3804 W. Vliet St. is a former longtime carpet store that's been closed the past few years. 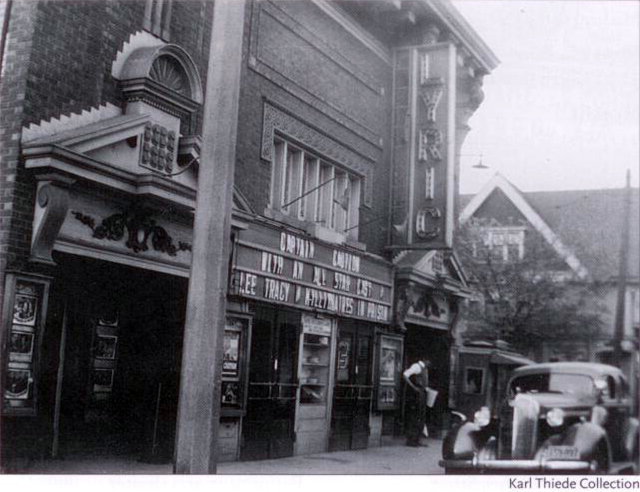 But, originally, the building was home to The Lyric Theater, which operated from 1917 to 1952 and had 575 seats." ﻿Bobby Tanzilo, "﻿Urban spelunking: Lyric Theater on Vliet Street," OnMilwaukee.com, July 17, 2015.